The Replicator was a feature designed to allow players to convert unwanted Components, Equipment, and Schematics into desired Components and Equipment that would allow them to upgrade Crew Members. 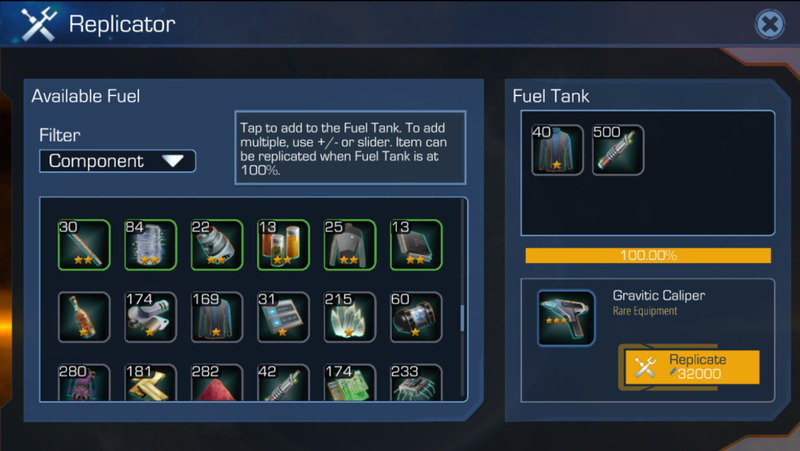 I worked on Star Trek Timelines for several months post-launch, implementing features and resolving bugs. In particular, I worked on several quality of life enhancements to existing systems and the Replicator feature which allows players to convert unwanted items into desired items.